We are pleased to offer you a unique educational opportunity made available without charge for up to two DEM Faculty members. Every year we hold two slots for DEM or Pediatric EM faculty in the “NERD Block”. If you are interested in a research component to your career, or in simply improving your research knowledge and critical appraisal skills, participating in the NERD Block is a perfect means to do so. Over the years, several DEM Faculty members have participated in NERD, and all have found the experience to be very useful and rewarding. NERD (Novel Education in Research and Design) is one-month research skills and critical appraisal education course developed by the DEM that is now entering its ninth year. The NERD Block is delivered annually to both UBC Royal College EM Residents and UBC Pediatric EM Fellows. It will run four days a week (Monday, Tuesday, Thursday & Friday), 9AM to 4PM, from Sept. 23 - Oct. 18, 2019, and is directed by Dr. Frank Scheuermeyer. 3. Connect participants with a range of academic DEM and Pediatric EM faculty members. The course involves a series of 34 interactive small group sessions and workshops led by academic faculty members from the DEM and Division of Pediatric EM (supplemented by external experts) on all aspects of research, including identifying an area of interest, creating a study question, the pros and cons of various study methodologies, data sources and statistics, economic evaluation, ethics, grant writing, funding opportunities, knowledge translation, managing research teams, and the authorship and research presentation process. In participating in these sequential modules, participants will gain foundational knowledge in all these areas, interact with and learn about the research being done by a wide range of DEM and Pediatric EM faculty members (and the opportunities that these present), and have an opportunity to develop and advance their own research project during weekly workshopping sessions. In addition, NERD includes 4 half-day critical appraisal sessions where participants refine their critical appraisal skills using templates applied to the EM literature in a “Journal Club” format. If you are interested in the possibility of participating in NERD we'd invite you to e-mail Riyad, at abulaban@mail.ubc.ca, for further information on what is involved and for a detailed course layout. Thank you for considering this, and don’t hesitate to contact either of us should you have any questions. 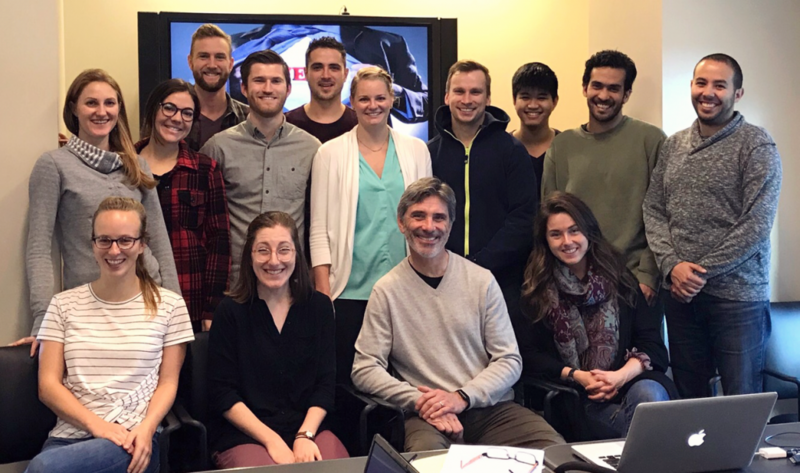 The primary forum for formal PostGrad Research Education is the "NERD Block" (Novel Education in Research and Design Block), a one-month research rotation for RCPS-EM Residents and Peds EM Fellows that was launched in 2011 and is now held annually in the fall. Connect participants with a range of academic DEM and Pediatric EM faculty members. The course involves a series of 34 interactive small group sessions and workshops led by academic faculty members from the DEM and Division of Pediatric EM (supplemented by external experts), on all aspects of research, including identifying an area of interest, creating a study question, the pros and cons of various study methodologies, data sources and statistics, economic evaluation, ethics, grant writing, funding opportunities, knowledge translation, managing research teams, and the authorship and research presentation process. In participating in these sequential modules, participants will gain foundational knowledge in all these areas, interact with and learn about the research being done by a wide range of DEM and Pediatric EM faculty members (and the opportunities that these present), and have an opportunity to develop and advance their own research project during weekly workshopping sessions. In addition, NERD includes four half-day critical appraisal sessions where participants refine their critical appraisal skills using templates applied to the EM literature in a “Journal Club” format. 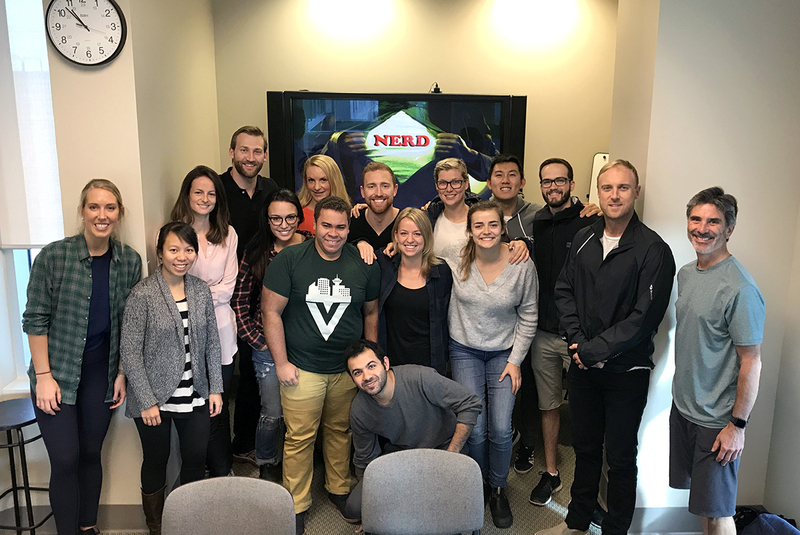 The NERD Block is delivered annually to both Royal College EM Residents and Pediatric EM Fellows. It will run four days a week (Monday, Tuesday, Thursday & Friday), 9AM to 4PM, from Sept. 23 - Oct. 18, 2019, and is directed by Dr. Frank Scheuermeyer. UBC offers a formal, four week elective in Emergency Medicine research for students in their final year of medical school. This elective is for students interested in learning about and participating in Emergency Medicine research and is based out of the Vancouver General Hospital and St. Paul's Hospital Emergency Departments. Students will choose from a list of projects and are expected to review and read around the background, study design, special features, and challenges of their chosen project. Under the supervision of the project Principal Investigator and the EM research coordinator, they will also participate in the day-to-day management of the project, which may include literature reviews, ethics applications, patient identification and consent, data entry and report writing. Students who are actively involved in projects may have the opportunity to be listed as a co-author when the project is published. Interested students are encouraged to contact Ms. Janet Chung, DEM Undergraduate Education Program Manager, for further information at Janet.Chung@ubc.ca. Year 4 UBC medical students can request this rotation through the Year 4 match that runs through one45. Out of province students (within Canada) may apply via the UBC Visiting Student Electives Office. Application information can be found at http://mdprogram.med.ubc.ca/visiting-student-elective-program/.